QuickSolv® is a revolutionary range of solid water treatment chemicals designed for use in cooling towers, boilers and steam generators. Put simply, QuickSolv® is a new range of water treatment chemicals in solid form rather than liquid and as such are far more concentrated and much easier and therefore intrinsically safer, to use and apply. 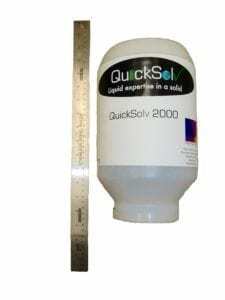 QuickSolv®, whilst being stand-alone solid water treatment chemicals, can also be used as an addition to, or in replacement of, liquid water treatment chemicals. QuickSolv® solid water treatment chemicals and also Deep Water Blue liquid water treatment chemical products can be fed to cooling towers, boilers and steam generators using Deep Water Blue Limited water treatment chemical dosing systems and dissolving boards. 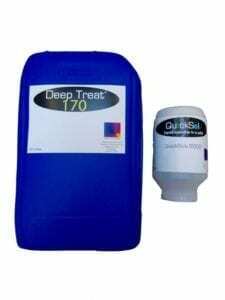 For more information or to order your QuickSolv® solid water treatment chemical today, simply send your order to orders@deepwaterblue.co.uk or contact us on 0870 460 2980. If you require some help or technical assistance with either our QuickSolv® solid water treatment chemical range product choice and/or application, then we would be delighted to assist you. Please contact us on 0870 460 2980.